The BBC Domesday Project was a partnership between Acorn Computers, Philips, Logica and the BBC (with some funding from the European Commission's ESPRIT programme) to mark the 900th anniversary of the original Domesday Book, an 11th-century census of England. It has been cited as an example of digital obsolescence on account of the physical medium used for data storage. This new multimedia edition of Domesday was compiled between 1984 and 1986 and published in 1986. It included a new "survey" of the United Kingdom, in which people, mostly school children, wrote about geography, history or social issues in their local area or just about their daily lives. Children from over 9,000 schools were involved. This was linked with maps, and many colour photos, statistical data, video and "virtual walks". Over 1 million people participated in the project. The project also incorporated professionally prepared video footage, virtual reality tours of major landmarks and other prepared datasets such as the 1981 census. The project includes local information gathered and stored by school pupils, in order to create an up-to-date version. As the computer takes over the role of storing and sorting the data, children can increasingly involve themselves in analysing [its] significance. The project was stored on adapted laserdiscs in the LaserVision Read Only Memory (LV-ROM) format, which contained not only analogue video and still pictures, but also digital data, with 300 MB of storage space on each side of the disc. Data and images were selected and collated by the BBC Domesday project based in Bilton House in West Ealing. Pre-mastering of data was carried out on a VAX-11/750 mini-computer, assisted by a network of BBC micros. The discs were mastered, produced, and tested by the Philips Laservision factory in Blackburn, England. Viewing the discs required an Acorn BBC Master expanded with a SCSI controller and an additional coprocessor controlled Philips VP415 "Domesday Player", a specially produced laserdisc player. 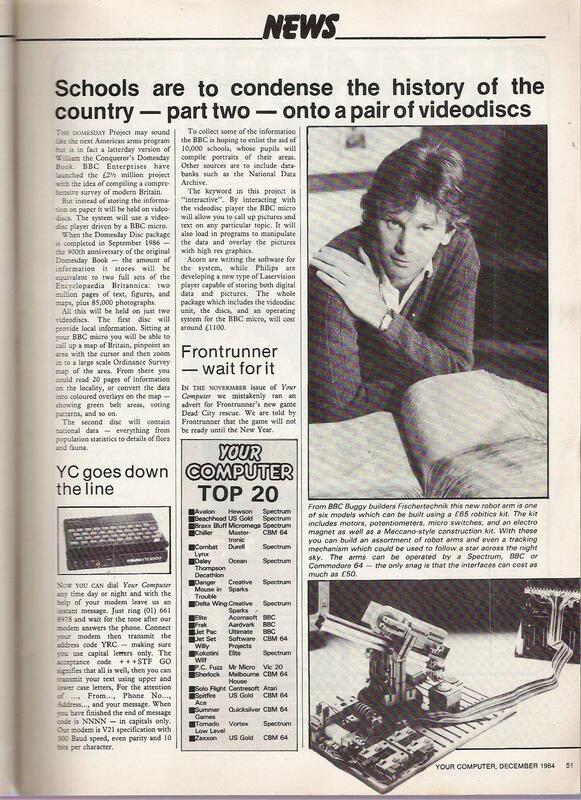 The user interface consisted of the BBC Master's keyboard and a trackball (known at the time as a trackerball). The software for the project was written in BCPL (a precursor to C), to make cross platform porting easier, although BCPL never attained the popularity that its early promise suggested it might. The Community Disc contained personal reflections on life in Britain and is navigated on a geographic map of Britain. The entire country was divided into blocks that were 4 km wide by 3 km long, based on Ordnance Survey grid references. Each block could contain up to 3 photographs and a number of short reflections on life in that area. Most, but not all, of the blocks are covered in this way. In addition more detailed maps of key urban areas and blocks of 40x30 km and regional views were captured, allowing "zoom-out" and "zoom-in" functions. The community disc was double sided, with a "Southern" and a "Northern" side, although country-wide data at the 40x30km level and above was on both sides. The National Disc contained more varied material, including data from the 1981 census, sets of professional photographs and virtual reality-like walkarounds shot for the project. Side 2 of the National disc contained video material. The material was stored in a hierarchy and some of it could be browsed by walking around a virtual art gallery, clicking on the pictures on the wall, or walking through doors in the gallery to enter the VR walkarounds. In addition a natural language search was provided via an English stemming and matching algorithm to a set of keywords. In 2002, there were great fears that the discs would become unreadable as computers capable of reading the format had become rare and drives capable of accessing the discs even rarer. Aside from the difficulty of emulating the original code, a major issue was that the still images had been stored on the laserdisc as single-frame analogue video, which were overlaid by the computer system's graphical interface. The project had begun years before JPEG image compression and before truecolour computer video cards had become widely available. However, the BBC later announced that the CAMiLEON project (a partnership between the University of Leeds and University of Michigan) had developed a system capable of accessing the discs using emulation techniques. CAMiLEON copied the video footage from one of the extant Domesday laserdiscs. Another team, working for the UK National Archives (who hold the original Domesday Book) tracked down the original 1-inch videotape masters of the project. These were digitised and archived to Digital Betacam. A version of one of the discs was created that runs on a Windows PC. This version was reverse-engineered from an original Domesday Community disc and incorporates images from the videotape masters. It was initially available only via a terminal at the National Archives headquarters in Kew, Surrey, but was published on the web in July 2004. This version was taken off-line early in 2008 when its programmer, Adrian Pearce, suddenly died. The deputy editor of the Domesday Project, Mike Tibbets, has criticized the UK's National Data Archive to which the archive material was originally entrusted, arguing that the creators knew that the technology would be short-lived but that the archivists had failed to preserve the material effectively. The Centre for Computing History has undertaken a similar project to preserve the data from the Domesday Project and make it available online. They already have data from both the National Disk and Community Disk online and are currently investigating copyright issues before releasing the URL to the general public. 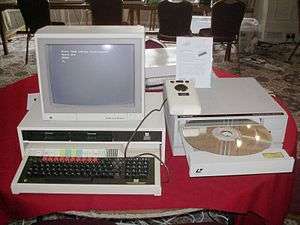 They have a working Domesday system on display and accessible to the public. They also have possibly the largest Domesday and interactive laserdisc archive in the world. The National Museum of Computing based beside Bletchley Park in Milton Keynes has two working Domesday systems accessible by visitors to the Museum. In 2011 a team at BBC Learning, headed by George Auckland republished much of the Community disc data in a web based format. 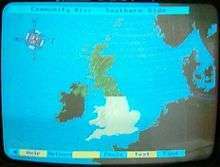 This data comprising around 25,000 images was loaded onto the BBC Domesday Reloaded website which went online in May 2011. The data extraction underlying the Domesday Reloaded site was carried out in 2003 and 2004 by Simon Guerrero and Eric Freeman. In addition to preserving the project, untangling the copyright issues also presents a significant challenge. In addition to copyright surrounding the many contributions made by the estimated 1 million people who took part in the project, there are also copyright issues that relate to the technologies employed. It is likely that the Domesday Project will not be completely free of copyright restrictions until at least 2090 (assuming no further extensions of copyright terms). ↑ Lord, Timothy (3 March 2002). "1086 Domesday Book Outlives 1986 Electronic Rival". science.slashdot.org. Mountain View, California: Geeknet. Retrieved 23 March 2011. ↑ Cohen, Daniel J; Rosenzweig, Roy (30 August 2005). "Preserving Digital History". Digital History: A Guide to Gathering, Preserving, and Presenting the Past on the Web. Philadelphia: University of Pennsylvania Press. ISBN 978-0-8122-1923-4. Archived from the original on 25 February 2011. Retrieved 23 March 2011. ↑ Brown, Douglas (June 2003). "Lost in Cyberspace: The BBC Domesday Project and the Challenge of Digital Preservation". Discovery Guides. Ann Arbor, Michigan: ProQuest. Retrieved 23 March 2011. ↑ Keene, Suzanne (2006). "Practical challenges: Technical obsolescence". Now you see it, now you won't: Preserving digital cultural material. London: Suzanne Keene. Archived from the original on 31 August 2006. Retrieved 23 March 2011. ↑ Tibbetts, Mike (4 November 2008). "Re: BBC Domesday Project (Leeson, RISKS-21.93)". The Risks Digest. Newcastle upon Tyne: ACM Committee on Computers and Public Policy. Retrieved 23 March 2011. ↑ Dartford, Katy (2 March 2011). "Domesday project for BBC London". Katy Dartford's blog. WordPress.com. Retrieved 12 April 2011. 25 years on, in May 2011, the BBC will release around 25,000 photos of British life and landscapes and approximately 150,000 pages of accompanying text, onto the Domesday Reloaded website. ↑ Dennett, Melita (5 April 2011). "BBC Domesday reloaded: Call for community contributors". Brighton: North Laine Community Association. Retrieved 12 April 2011. [T]he data has been extracted and the BBC would like to update the information on the discs for a new website, Domesday Reloaded. ↑ Freeman, Eric (1 June 2011). "Rescuing the Domesday Project (part 1)". PC Plus Article. pcplus.techradar.com. Archived from the original on 21 April 2012. Retrieved 15 April 2013. Eric Freeman's account of the BBC's Domesday Project restoration. ↑ Freeman, Eric (1 June 2011). "Rescuing the Domesday Project (part 2)". PC Plus Article. pcplus.techradar.com. Archived from the original on 21 April 2012. Retrieved 15 April 2013. Eric Freeman's account of the BBC's Domesday Project restoration. ↑ Freeman, Eric (1 June 2011). "Rescuing the Domesday Project (part 3)". PC Plus Article. pcplus.techradar.com. Archived from the original on 21 April 2012. Retrieved 15 April 2013. Eric Freeman's account of the BBC's Domesday Project restoration. ↑ Charlesworth, Andrew (5 November 2002). "The CAMiLEON Project: Legal issues arising from the work aiming to preserve elements of the interactive multimedia work entitled "The BBC Domesday Project."" (Microsoft Word). Kingston upon Hull: Information Law and Technology Unit, University of Hull. Retrieved 23 March 2011. Domesday Preservation Group—took over the domain of the online Community Disc port.